Bold black and ivory pairs well together in this textured flared skirt. The Bold Black and Ivory Textured Stripe Skirt is made of a substantial heavy fabric with a wavy textured pattern throughout. It has alternating horizontal black and ivory stripes, creating a cute neutral look that is perfect for almost any occasion. 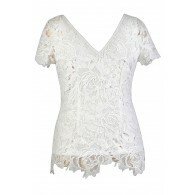 Pintuck detailing at the waistband and a flirty flare cut create a great silhouette. The Bold Black and Ivory Textured Stripe Skirt would look great paired with a fitted ivory or black top or sweater and pumps, wedges, or heels. 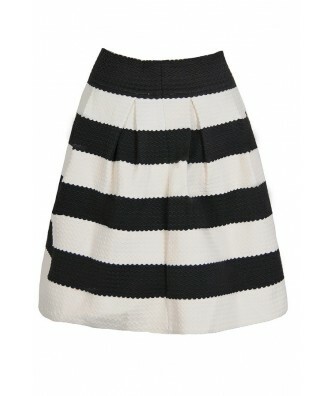 You could also try pairing this skirt with a fitted black blazer or jacket for a put-together look. Adding tights in the fall and winter will make this a skirt that you can wear year-round. Details: Unlined. 70% nylon, 30% spandex. Hand wash cold water separately. Color will bleed. No bleach. Hang to dry. Small measurements: Length from top of waist to hemline: 18\". Waist: 32\". 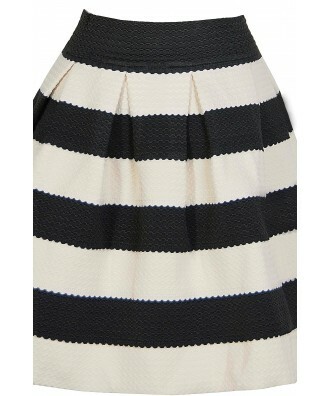 You have added Bold Black and Ivory Textured Stripe Skirt into Wishlist. 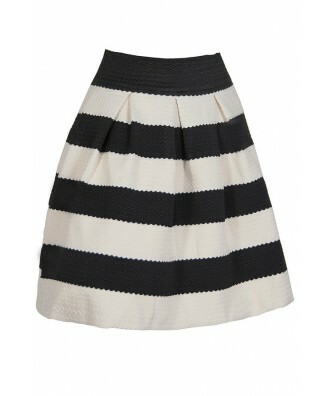 You have added Bold Black and Ivory Textured Stripe Skirt for Stock Notification. 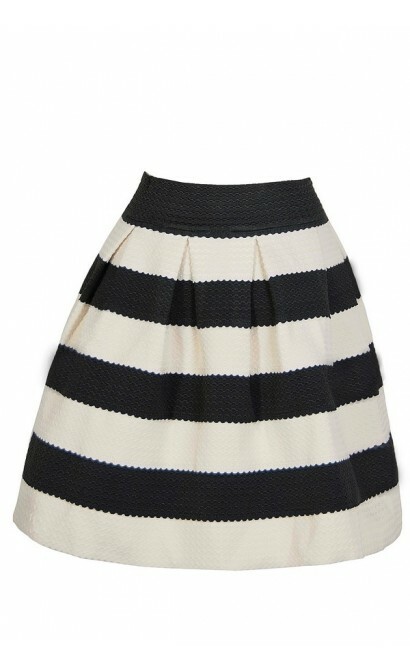 You have set Bold Black and Ivory Textured Stripe Skirt as a loved product. 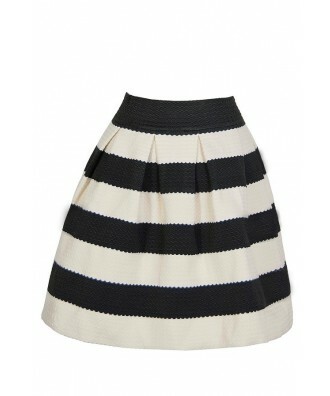 You have removed Bold Black and Ivory Textured Stripe Skirt as a loved product.